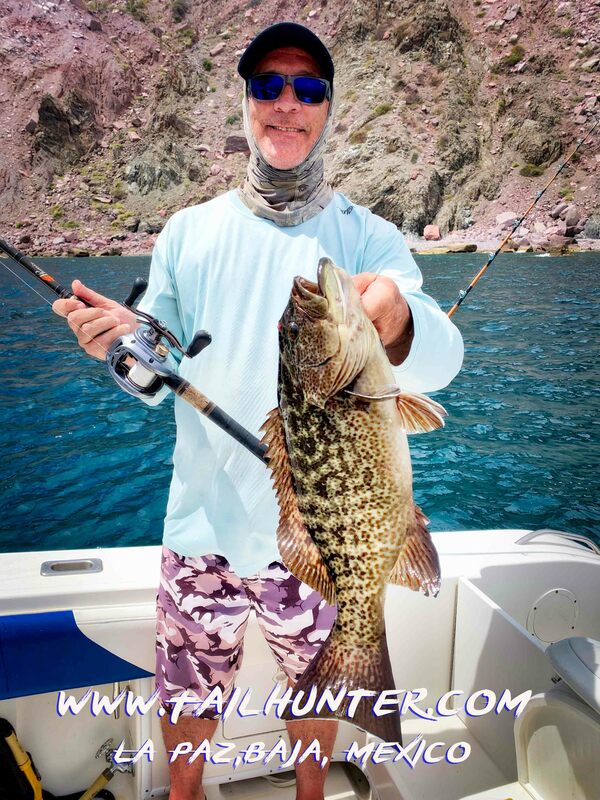 BETTER WEATHER – BETTER FISHING…FINALLY! 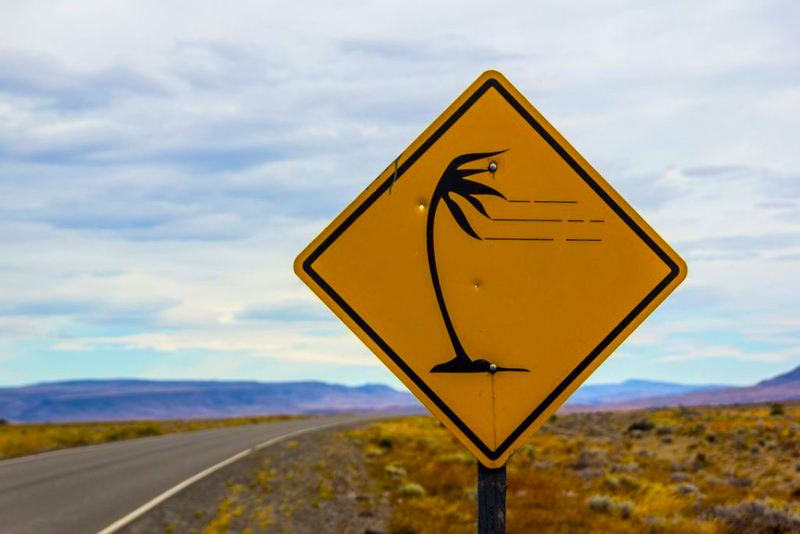 THE BIG PICTURE and the REST of the STORY…. 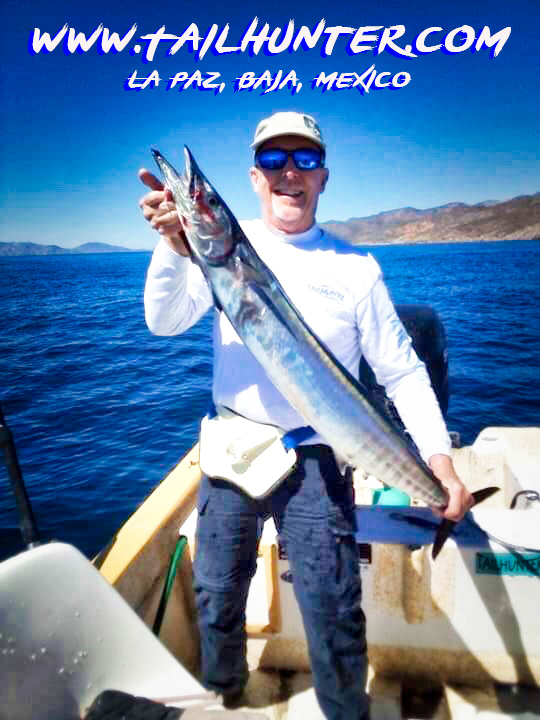 Carl Lange took down our first wahoo of the season just outside of Bahia Muertos! 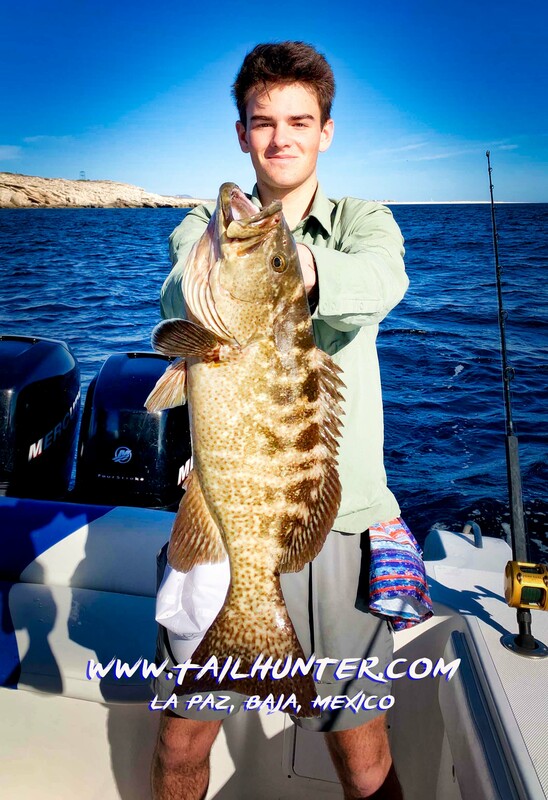 Crazy March catch! 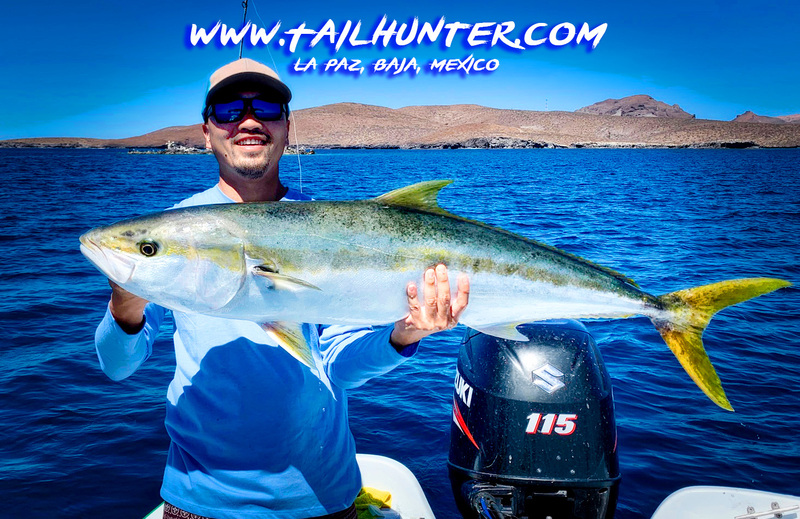 OH man…this is a hog yellowtail! 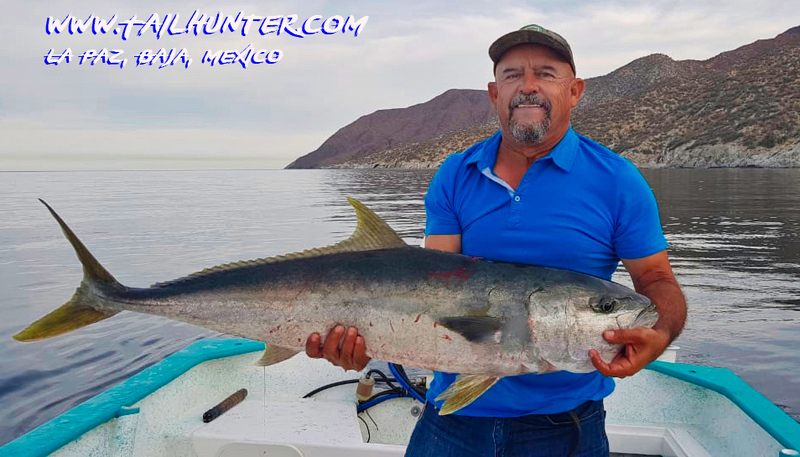 Roger Thompson with Captain Hugo knocked this guy out at the north end of Cerralvo Island slow trolling sardines in about 12′ of water! 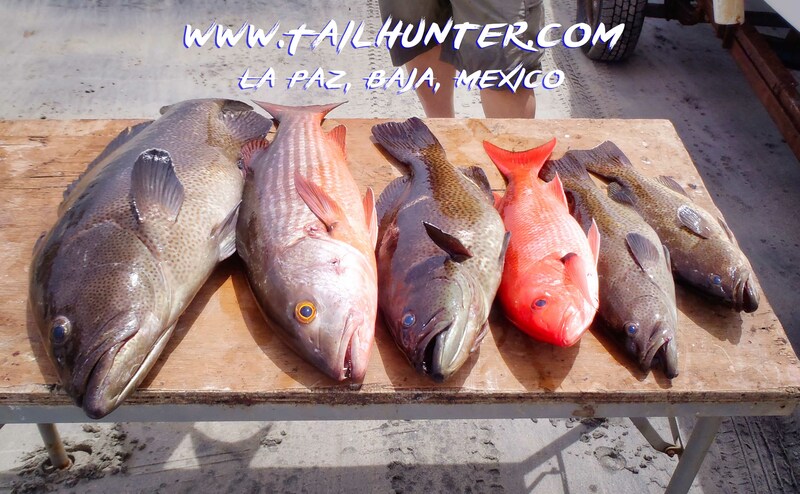 They got 5, but lost others they couldn’t stop. 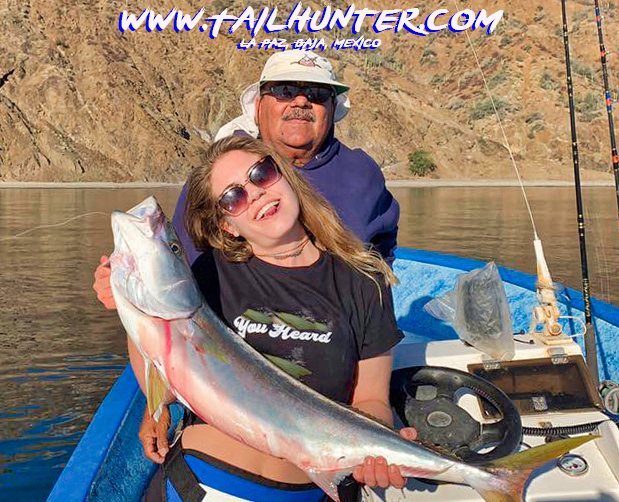 Our Bakersfield amigo, Ken Gragg, loves to fish this time of year, even in the crazy weather and it paid off with a big-headed yellowtail later in the week. 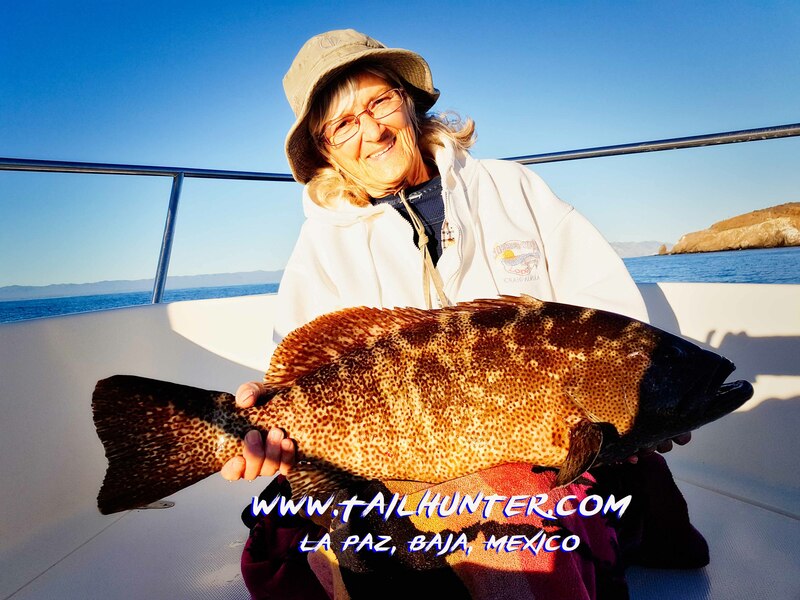 The cabrilla queen herself, Donna Thompson from La Ventana has stuck so many of these big cabrilla over the years and she did it again at Cerralvo Island in shallow water. 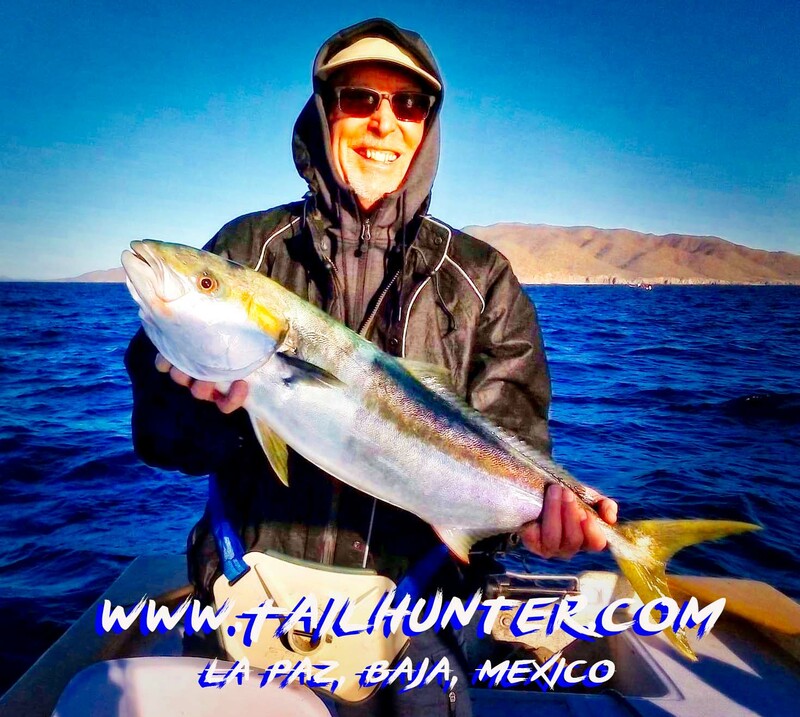 You can tell it’s a bit cold and nippy as well as choppy, but Carl Lange probably doesn’t feel a thing except big smiles over another nice yellowtail. 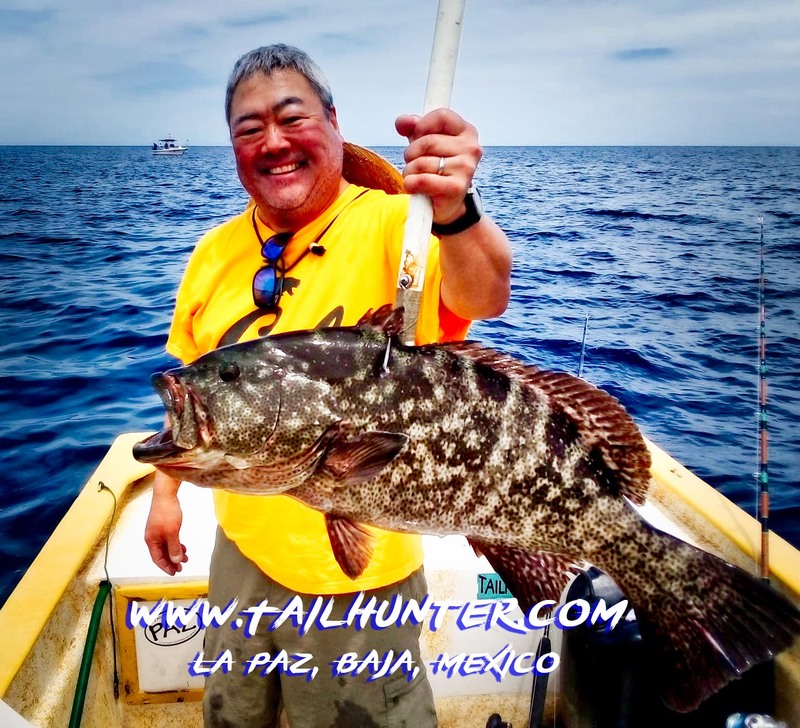 We’ve got the whalesharks in the by of La Paz again. 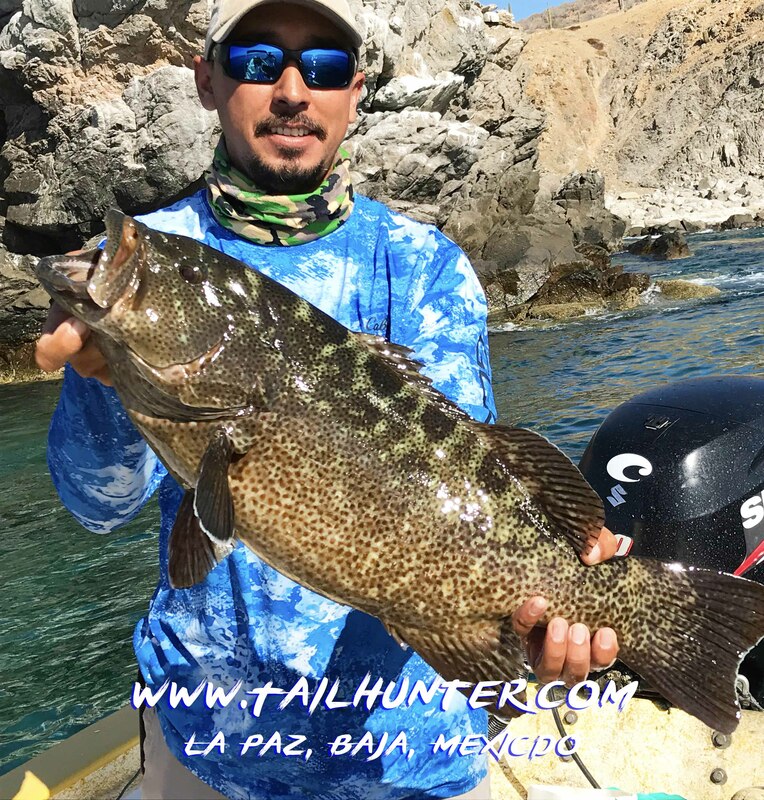 Had about a dozen this week and later in the week when winds calmed down, we were able to put some folks in the water to go swimming with them in the shallows. 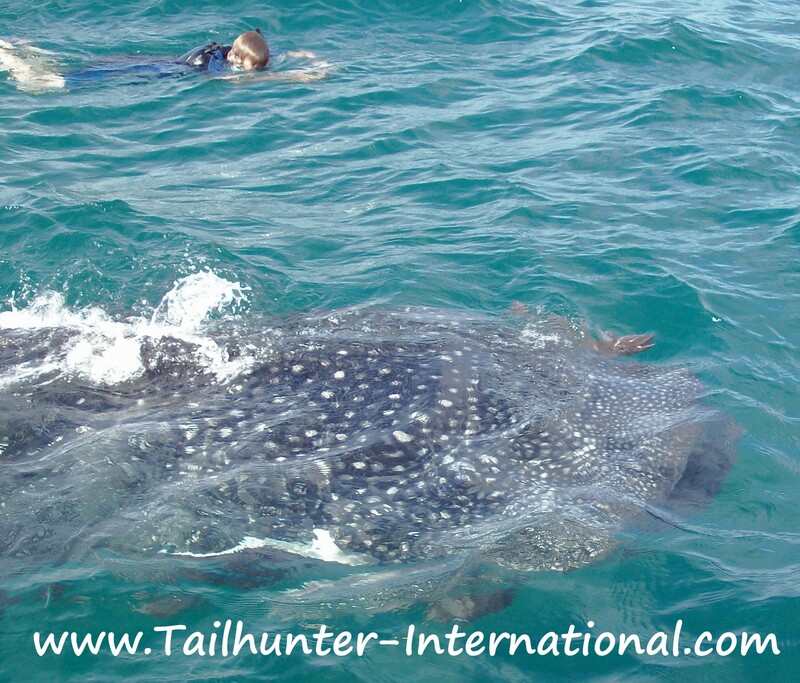 It’s an incredible experience snorkeling with our La Paz whalesharks in the bay. The “babies” are only about 15 feet long or so. 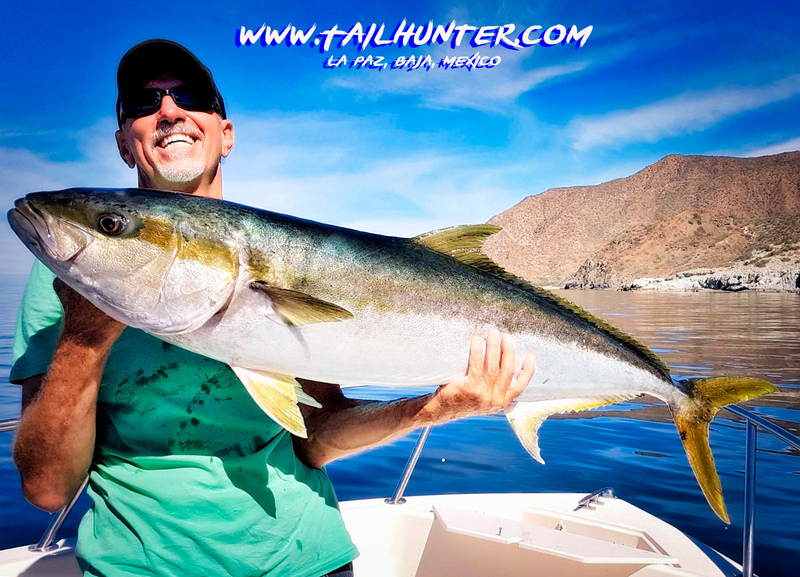 The week started pretty blustery with white caps even in the normally calm La Paz Bay. Actually, for this time of the year, that’s not unusual. 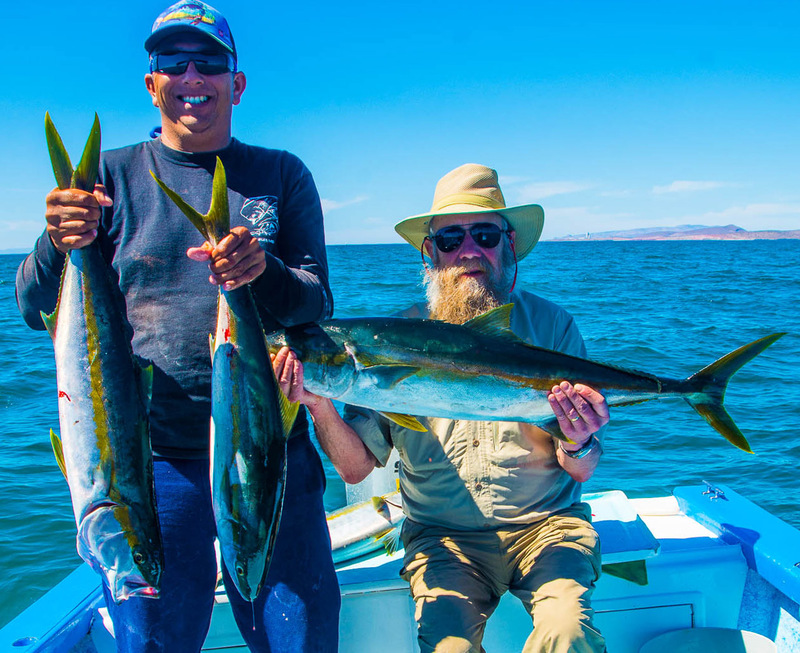 Fortunately, we didn’t have anyone out fishing, but we probably could not have gone out anyway. 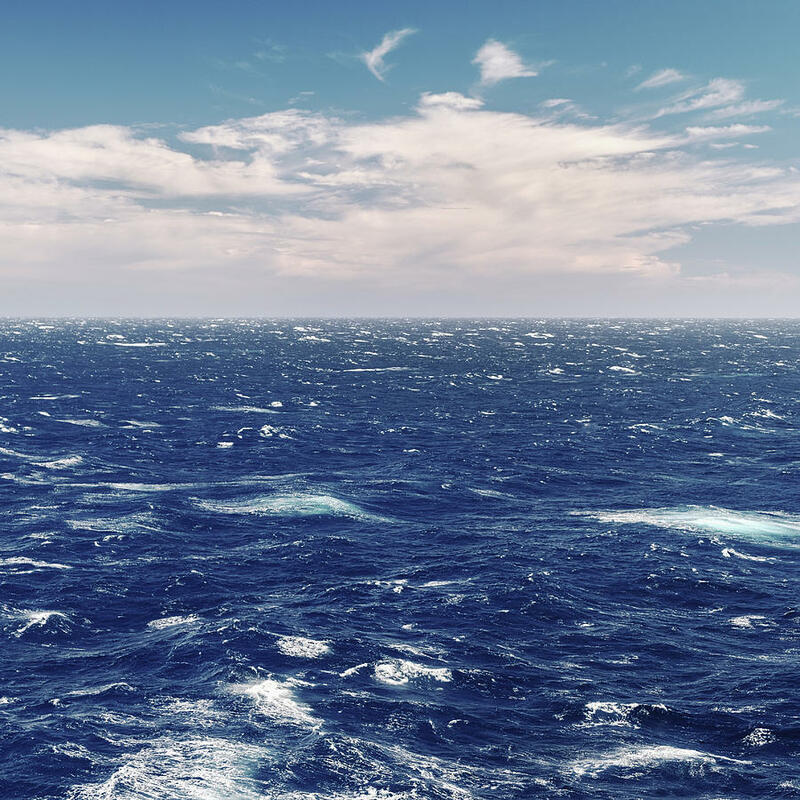 However, as the week went on, winds diminished somewhat, at least enough to get out although there was still some chop and it was good to have a jacket or sweatshirt on. 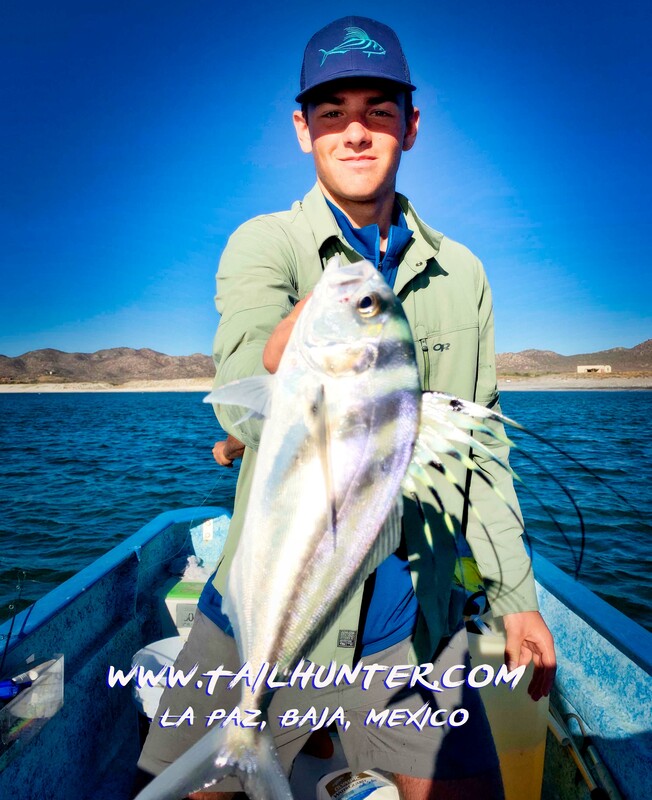 Fishing out’ve Bahia de los Muertos, we hit quite a mix of fish, especially for so early in the year with warm water species mixing with the normal cold water species. 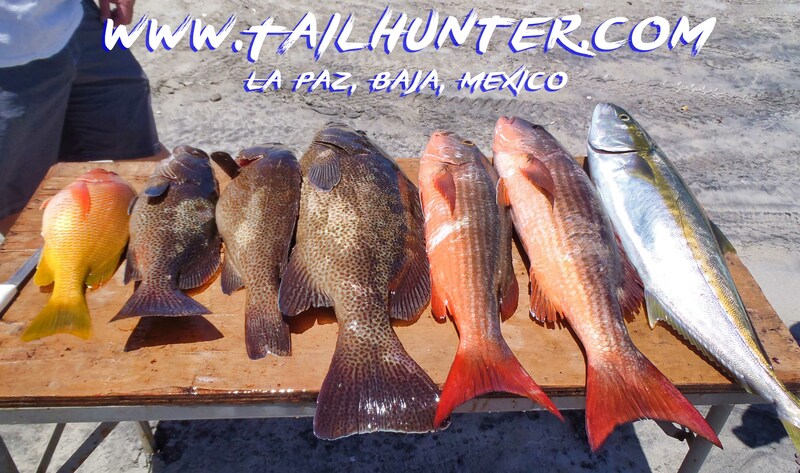 Big cabrilla, jack crevalle and both white bonito and skipjack kept the rods bent as well as smaller snapper and pargo. 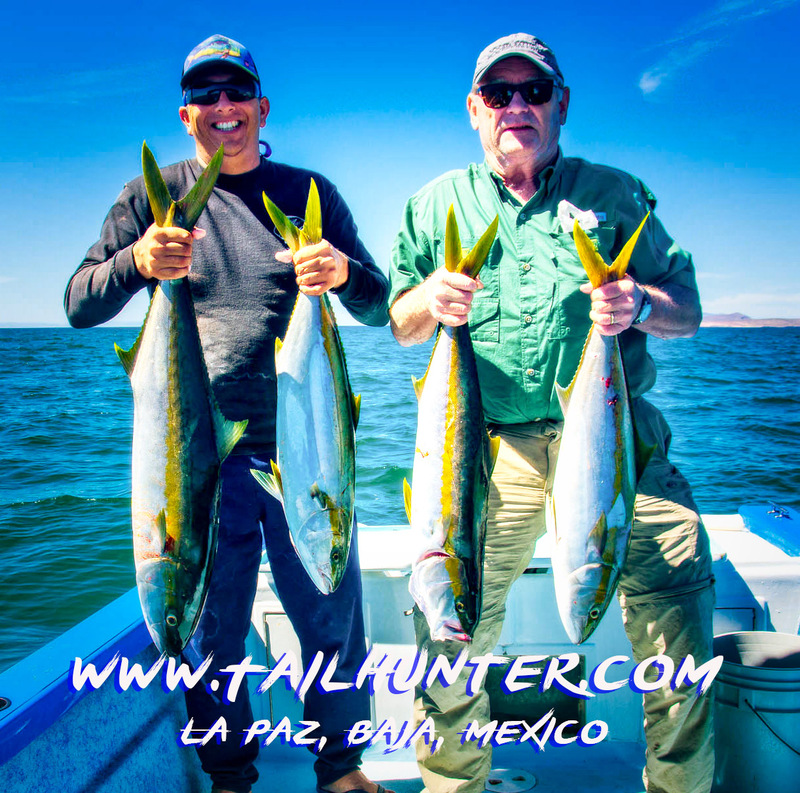 However, we also got some legit yellowtail over structure and topped it with some flurries of dorado and even wahoo. 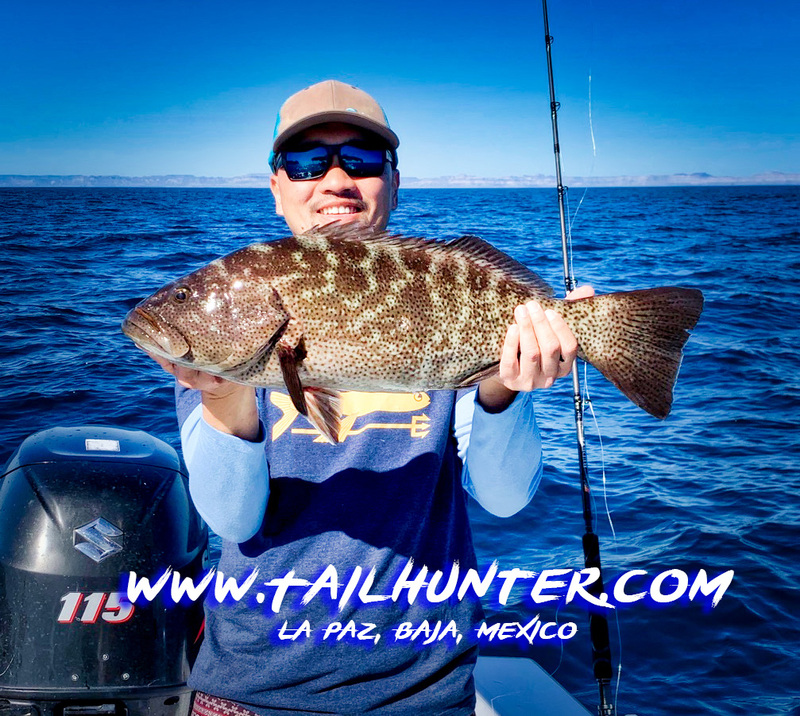 Live bait is still hard to come by with all the rough water, but we’re dragging lures and using dead bait pretty effectively and the fishing is not too far off the beach. 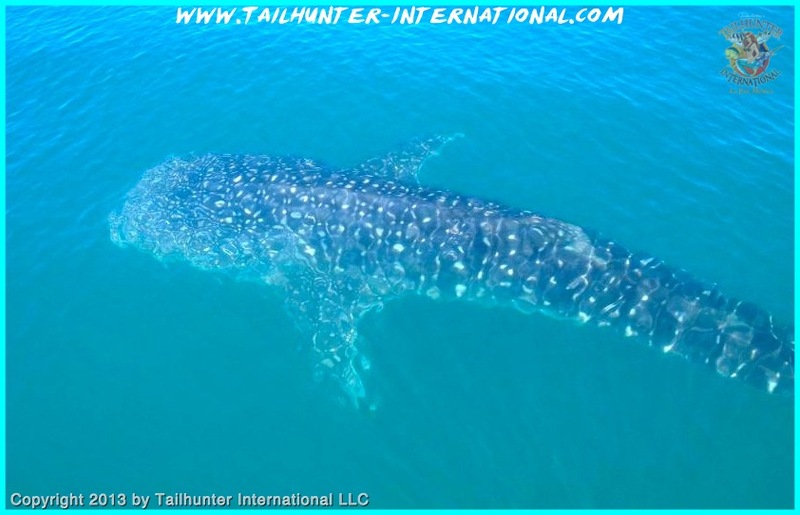 It was also calm enough to get out to swim with the whalesharks in La Paz Bay. 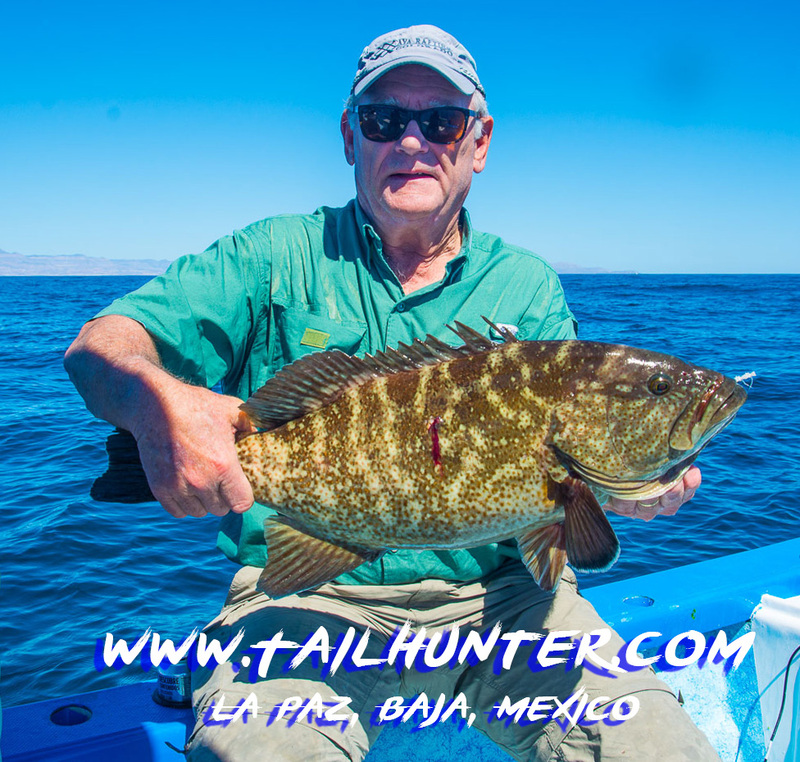 We had as many as a dozen in the shallow waters, but on the choppy days it’s hard to see them let alone swim with them. 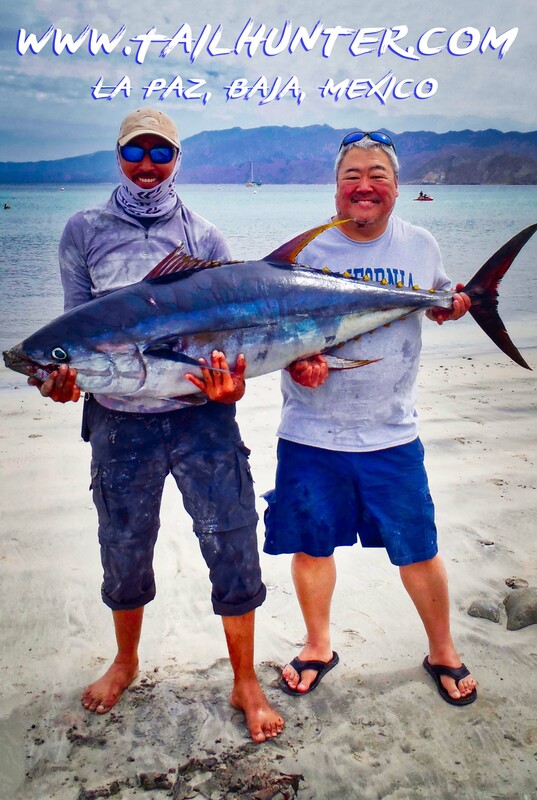 Photo one : Carl Lange was fishing off the rocks just outside of Bahia Muertos near La Paz and was surprised when this wahoo hit his Rapala trolling in the shallows for cabrilla. Carl is from Bakersfield. 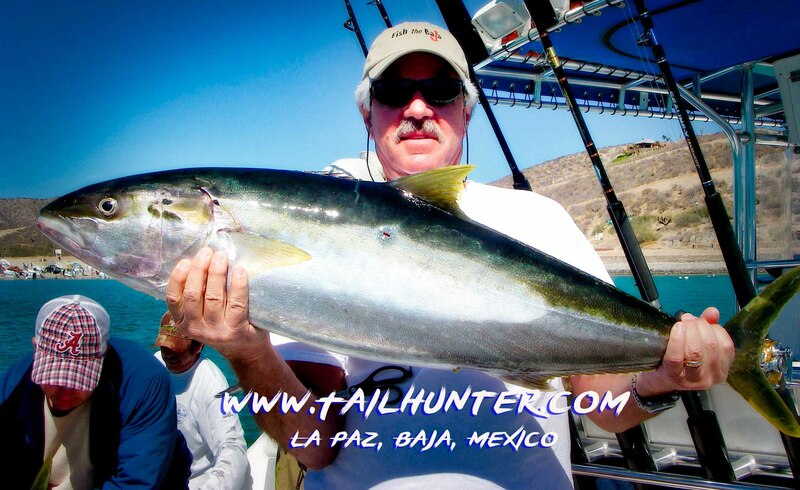 Photo two: Big-headed yellowtail on the gaff with Ken Gragg from Bakersfield who was just off Punta Perrico near La Paz and using dead bait. 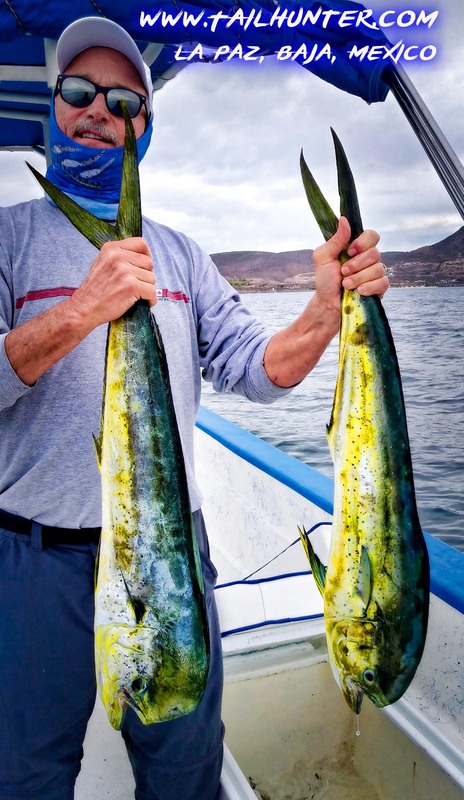 He also got a big cabrilla. 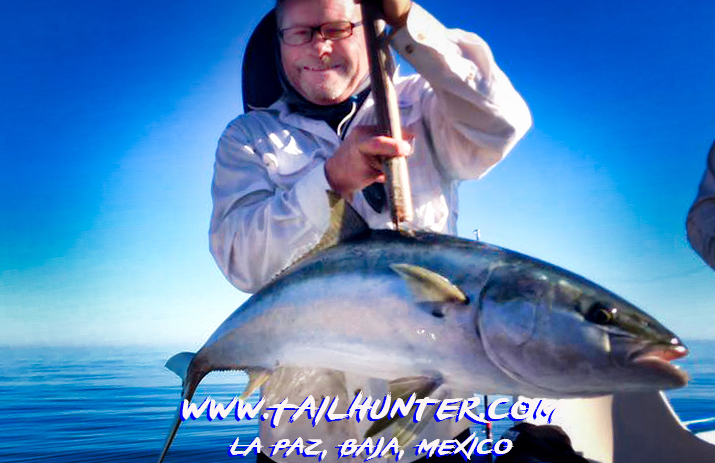 HERE COMES THE BIG ONE! 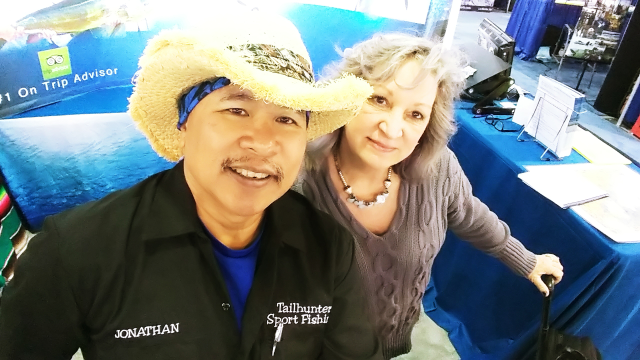 Just wrapping it up in Boise, Idaho from the Idaho Sportsman’s Show and just a quick shout-out to all the Idaho amigos who came to visit us and put out a red-carpet welcome! Man…what a show! Best Idaho show we’ve had in more than a decade! 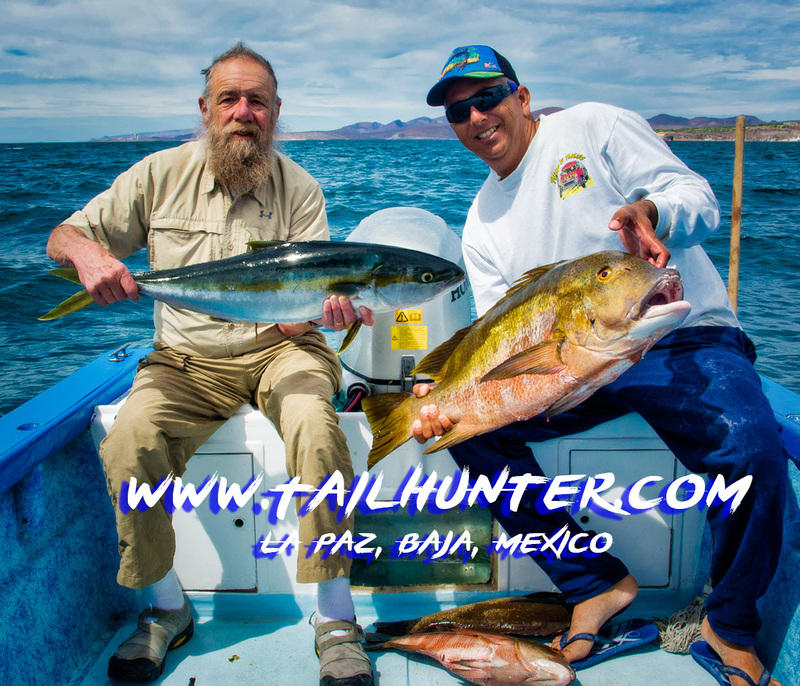 Thank you all and we’ll see you in La Paz! 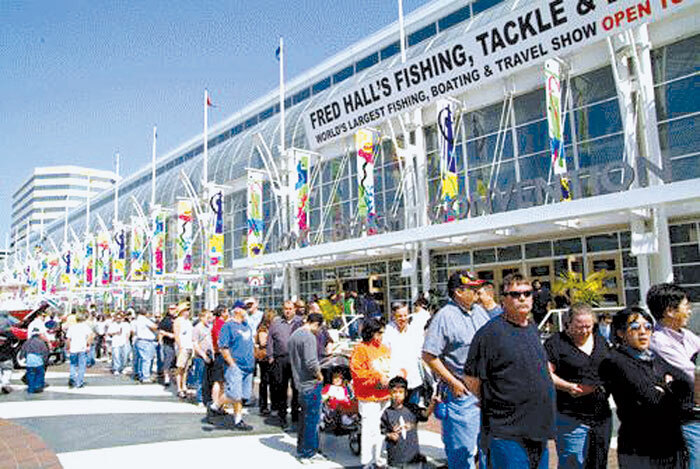 It’s the grand-daddy…Fred Hall Fishing Show at the Long Beach Convention Center. 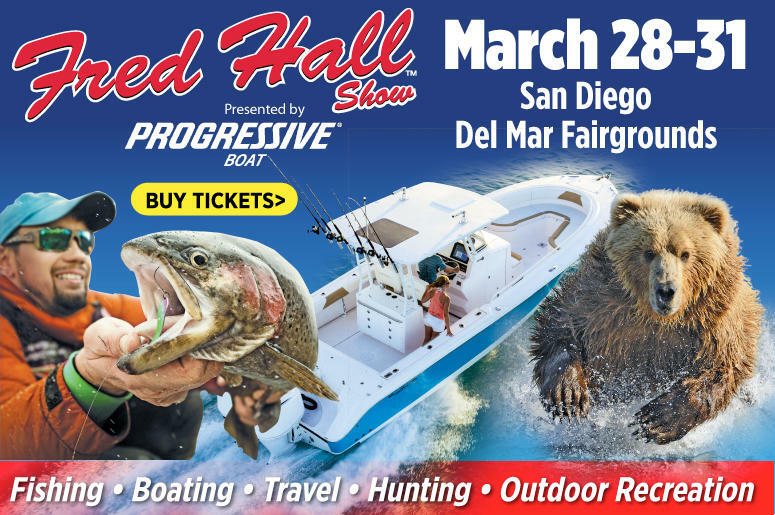 This is the oldest and largest fishing show in the entire U.S. and runs from Wednesday to Sunday (March. 6-10). 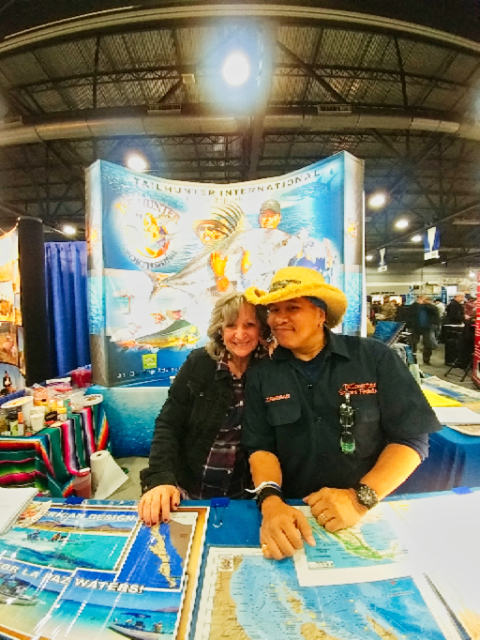 Come see us. This is the one you do not want to miss. 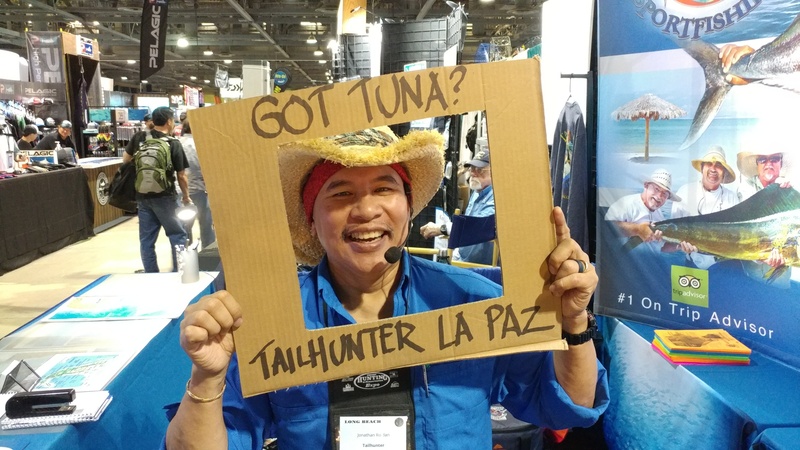 We’ll be in our booth every single day and it is always a party at the Tailhunter Booth! If you’re gonna be in Long Beach Tuesday night, after we set up our booth at the Long Beach Convention Center, we traditionally head over to Joe Jost’s Bar and have some beers under the pretense of it being my birthday. It’s my 62nd and we hope to be there about 6:30. Totally informal. 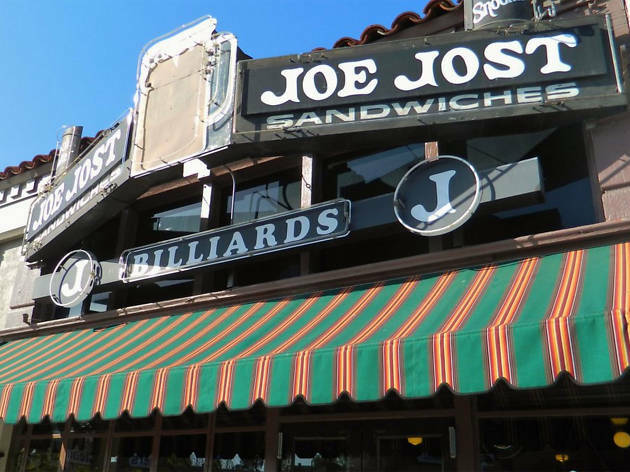 Joe Josts has been there since 1924! All the serve is beer…and sausage sandwiches…and pickled eggs…and liverwurst sandwiches…and egg salad sandwiches and pretzels and peanuts! It’s like stepping back in time as I mark my time! 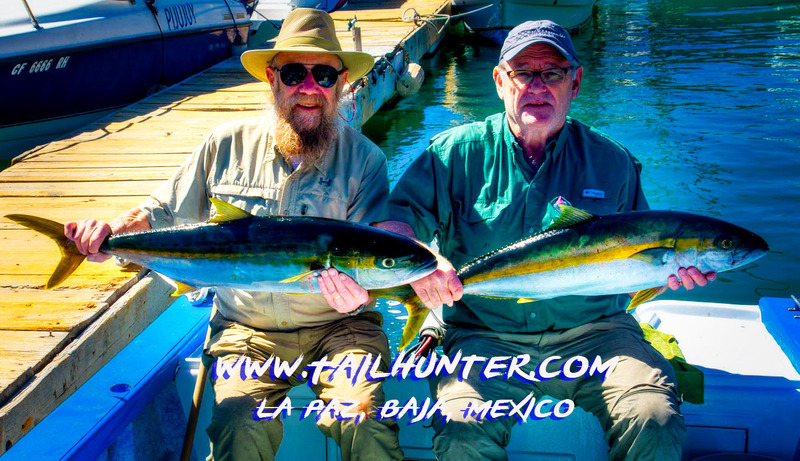 It’s cheap and it’s fun! Just my style!